What do you do when your favorite season is over and gone, and won’t come back until next summer?! 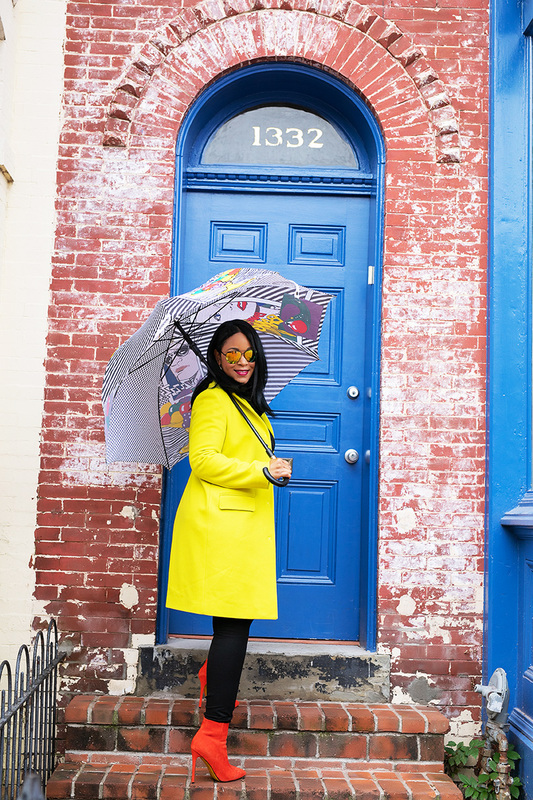 Bring your own damn sunshine with a colorful winter coat! When I lived in New York City, black coats were the uniform throughout Fall, Winter and Spring. If you wanted a pop of color, try gray. I have my fair share of black and grey outerwear, and clothing, after living there for a decade. 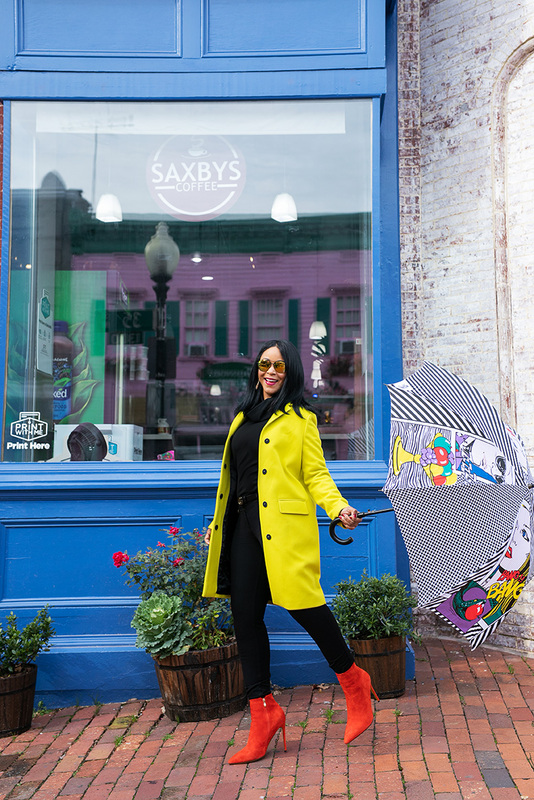 But I’ve noticed that since I’ve moved to the D.C. area, I’ve been infusing my wardrobe and outerwear with a ton more color. Winter weather is depressing on its own – no need to make it worse with drab coats! 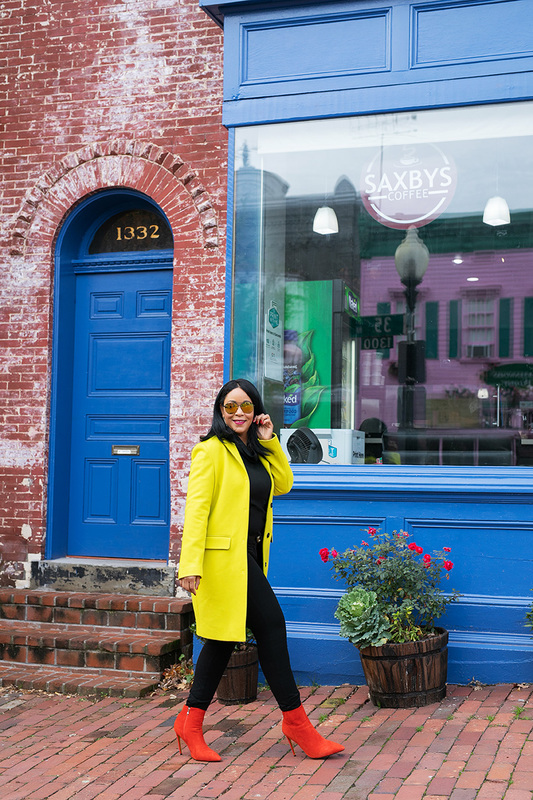 I recently felt a yellow coat mood coming on and scoured the ‘net for the right one. 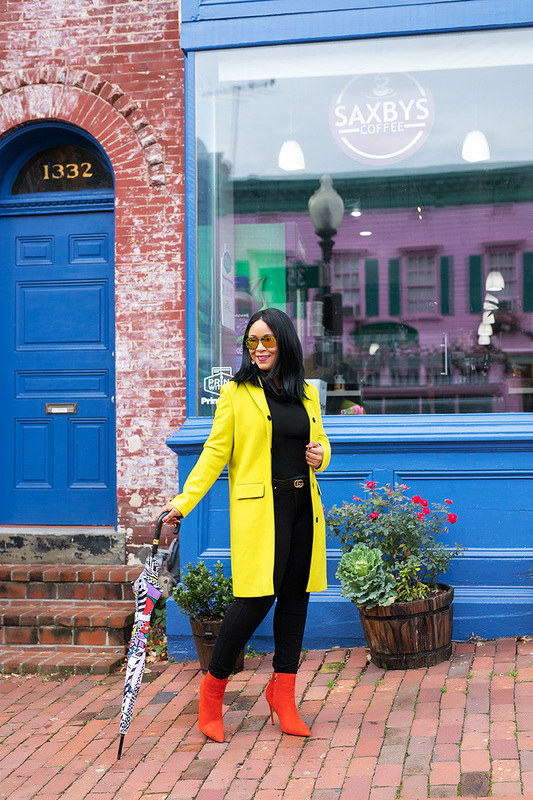 I spotted plenty of ‘crayon’ yellow coats, but I wanted something with a touch of neon/acid. I found the MSGM coat which was exactly what I was looking for in terms of color, silhouette and fabric. I only wish it were a little bit heavier. I need something to stand up to these winter winds! But overall, I love it. I retreated to an all black look and played with accessories, for punches of color. 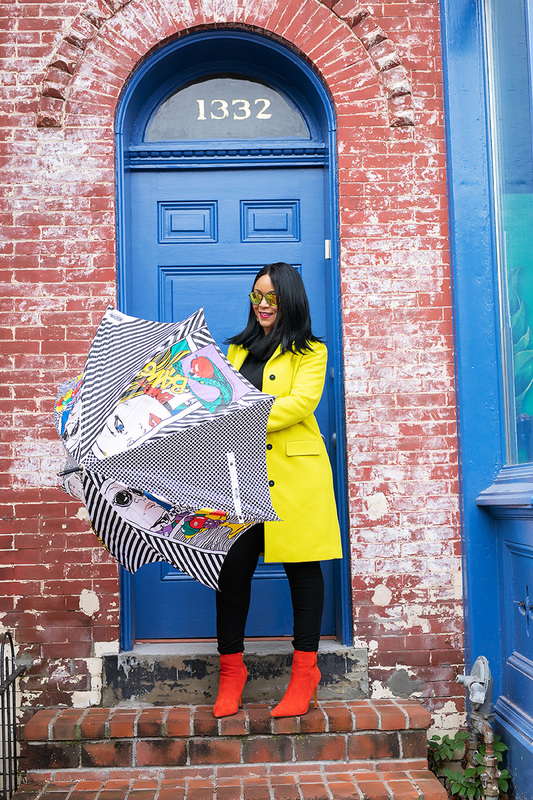 How do you feel about colorful winter coats? Mood booster or a little too bright for your taste?! 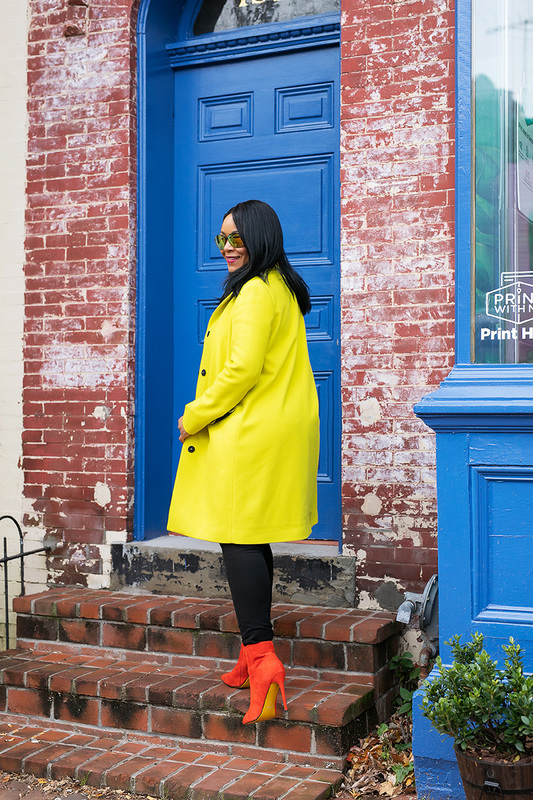 Go get yourself a brightly colored coat this winter. It’ll inject some fun in your life, and brighten up your mood, immediately – I promise!